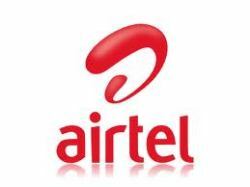 Now pay through mobile phone- Welcome ‘Airtel Money’! MNP results are out- Vodafone's reaping the advantage! Conference Alert: 9th VAS India 2011 on February 4th at Mumbai! Airtel launched 3G in Chennai & Coimbatore! Telefónica O2 UK selects 'Ericsson' as northern VENDOR! Airtel joined 'Club 3G' with Karnataka launch! Mobile Broadband Subscription to hit one billion mark in 2011! Aircel & Tata to roll 3G jointly to mark new era in 3G services rollout! TataDoCoMo's 1 million Facebook fans celebrate 'Industry First' with 'Double Talk Time' Offer! Asus launched Asus Business Connect- A innovative partner communication program in India!